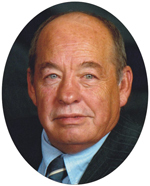 Duane D. Talley died peacefully in his home in Salina on Sunday, Sept. 21, 2014, at the age of 69. Duane suffered from Parkinson’s disease linked to his exposure to Agent Orange. Duane is survived by his son, Rocko M. Talley and wife Mary Kay, of Salina; mother, Dorothy V. Blackwood, of Tonganoxie; brother, James R. Talley and wife Vicki, of Solomon; and sisters, Marcia S. Klingzell (Frank Roth), of Salina, Sharon M. Nelson, of Ellsworth (Mike Otto, of Salina) and Cynthia A. Brandau and husband Jeff, of Tonganoxie. He was preceded in death by his father, Neil V. Talley and his wife, Lois L. (Theleman) Talley. Duane, born in Abilene on Feb. 1, 1945, attended schools in Miltonvale, followed by Sacred Heart grade and high schools in Salina. He also attended Emporia State University and was an active member of the Alpha Kappa Lambda fraternity before joining the U.S. Army. In the army, he served as a helicopter pilot during the Vietnam conflict and was awarded the Distinguished Flying Cross. He completed his bachelor of science degree at Kansas Wesleyan College in Salina. In 2006, Duane retired from his job with the city of Salina, after 19 years as a building inspector aka environmental compliance specialist. Duane was also a member of the Sacred Heart Parish and attended church each Saturday evening until his disease prevented him. Duane was a life enthusiast. His blue, happy eyes clearly showed how he enjoyed telling stories and jokes and relished the laughter that followed. Life was all about “the presentation.” Duane willingly gave his detailed advice when asked for help, the recipient knowing that the task would be perfectly completed if that advice were followed. Talley also enjoyed traveling, photography and cooking, challenging his brother in the Perfect Apple Pie Contest. Duane will be missed by his grandson, Braxton; granddaughter, Kenzie Bell Talley; sister-in-law, Susie Price and husband John; brother-in-law, Gene Theleman and wife Luann; uncles and aunts, nieces and nephews and great-nieces and great-nephews, whom he loved dearly. Visitation will be from 4-6 p.m. Wednesday, Sept. 24, at Ryan Mortuary and from 6:30-8 p.m. with a vigil at 7 p.m. Wednesday at Sacred Heart Cathedral. Mass of Christian Burial for Duane will be held at 10 a.m. Thursday, Sept. 25, at the Cathedral, with a reception there following burial at All Saints Cemetery. All are welcome to come and celebrate Duane’s life. In lieu of flowers, Duane and his family request that memorials be given to the Wounded Warrior Project. And he saith unto them: “Follow me, and I will make you fishers of men.” – Matthew 4:19. HUTCHINSON – Robert B. “Bob” Leonard, 89, went to be with his Lord and Savior on Sunday, Sept. 21, 2014. He was a 1944 Salina High School graduate and a 1950 graduate of Kansas Wesleyan University. Bob was a U.S. Navy Air crewman and a former high school commercial teacher. He was a State Farm Insurance Agent for more than 40 years and past president and member of the Salina Life Underwriters. At Wesleyan, he was a member of the Golden “W” Club, past alumni president, chairman of the Memorial Clock Project and Class of 1950 Reunion Project. He was a member and past president of the Salina Noon Optimist and member of the Pioneer Lake Association. He was a lifelong member of Immanuel Lutheran Church, where he was a former church council member, mission committee chairman and editor of the Centennial History Books. Bob married the former Dorothy Krizek at Immanuel Lutheran Church on Aug. 1, 1948. They were accomplished ballroom dancers and enjoyed 57 years of marriage before her death in 2006. He loved his family deeply and was an avid reader and studied the Bible daily. Bob had resided the last 10 years at Good Samaritan in Hutchinson, where he was a member of the residence council and welcome committee. His family wishes to thank Good Samaritan for their immeasurable amount of love and care and sense of family given to Bob and Dorothy. He is survived by a son, Doyle (Beverly) Leonard, of Phoenix, and daughter, Marcia K. Allen, of Hutchinson. He has three grandsons, Shawn (Teresa) Allen, Brett (Carrie) Allen and John Leonard and four great-grandchildren, Justin Allen, Jenna Allen, Brogan Allen and Brittany Allen. Bob’s three surviving sisters are Helen Loy, of Seneca, Frances Weis, of Salina, and Alice Rowan, of Wichita. Friends may call from noon until 8 p.m. Friday, Sept. 26, at Ryan Mortuary, Salina. Funeral services will be held at 11 a.m. Saturday, Sept. 27, at Immanuel Lutheran Church, Salina. Burial will be prior to the service at 10 a.m. Saturday in Roselawn Memorial Park. Memorials are suggested to the Immanuel Church Foundation, Kansas Wesleyan or Good Samaritan Society, Hutchinson Village. Leona Mae McClanahan, 84, of Salina, passed away on Sunday, September 21, 2014 after a very courageous battle with cancer. She was born April 11, 1930 in Plainville to Anthony and Eda (Saindan) Adam. Leona had lived most of her life in Salina, working for Federal Moquel Corporation, then retiring from Wal-Mart in 2007 after 23 years of service. Leona was preceded in death by her husband Bob on April 30, 1989; her parents; in laws Vester and Chloe McClanahan; two sisters, Nettie (Jack) Williams, and Lucy (Charlie) Johnson. She is survived by two sons, Tom and Philip and wife Lois of Salina; daughter, Jana (Jim) Munn of Colorado; sisters, Maxine (Bob) Hoeffner of Salina, Mildred (Jim) Lousiseau of Colorado, Betty Salzman of Salina; brothers, Lee (Jackie) Adam, Gerald Adam of Salina, Fred (Kathy) Adam and Ken Adam of Plainville; brother-in-law, John (Charlotte) McClanahan of Texas; grandchildren, Travis Shramek of Colorado, Nathan and Cole McClanahan of Salina; great grandchildren, Brayden Shramek of Colorado and Berkley McClanahan of Salina; and many nieces and nephews, cousins and friends. A mass of christian burial will be at 10 a.m. Thursday, September 25, 2014 at St. Mary Queen of the Universe Catholic Church with Rev Barry Brinkman officiating. Burial will follow at Mt. Calvary Catholic Cemetery. Visitation will be Wednesday, September 26, 2014 at Ryan Mortuary with a Vigil at 6:30 p.m. The family requests in lieu of flowers that a charitable donation be made to Tammy Walker Cancer Center or Salina Catholic Charities. Bradley Ellis Diggs, 35, of Salina, died Saturday, Sept. 20, 2014. He was born Oct. 11, 1978, in Manhattan to Paul Diggs and Marcie (House) Dow. He is survived by his daughter, Mallory Diggs; parents, Paul Diggs, of Conway Springs, and Marcie and Gary Dow, of Salina; brother, Jason (Lori) Diggs, of Kansas City; sister, Paula (DaMond) Hawley, of Kansas City, Mo. ; grandparents, Mel and Mary House, of Manhattan; stepbrothers, Cody (Letty) Dow, Shannon (Tracy) Dow and Cole Dow; stepsister, Sarah Dow; and many other family members. He was preceded in death by his son, Gavin Ellis Diggs and grandparents, Ellis W. and Iva Diggs. A funeral service will be held at 2 p.m. Wednesday, Sept. 24, at Ryan Mortuary. Burial will follow in Gypsum Hill Cemetery. There will be no visitation. In lieu of flowers, memorials may be made to the Bradley Diggs Memorial Fund or www.youcaring.com and are in care of Ryan Mortuary, 137 N. Eighth, Salina 67401.